Arunachal Pradesh Police Department has recently issued latest notification for fill up 34 Sub-Inspector (Civil Police) Posts . 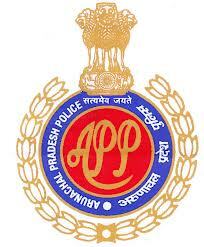 Arunachal Pradesh Police Recruitment advertisement is published in the official website www.arunpol.nic.in . This is special recruitment drive for Tirap , Longding , Changlang districts . Interested candidates apply online through the website www.arunpol.nic.in for application form and more details . Here we arrange some important details like application process , how to apply , age , pay band etc and more details are shortly mentioned below. 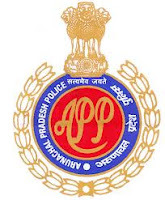 Before applying for this Arunachal Pradesh Police SI Recruitment 2013 please check your eligibility with following details and confirm with official advertisement. Chest : 79 cms ( without Expand ) , 84 cms ( with Expand ) for male candidates . Selection Process : Selection made on the basis of Physical Efficiency Test , Written Test and Interview . Application fee : A treasury challan of Rs.15/- for APST candidates , Rs.60/- for General Candidates in favour of Assistant Inspector General of Police ( E) , PHQ , Itanagar , Under Head of Account " 0055" Police . How to apply : Application form available in the website www.arunpol.nic.in . Read the instructions step by step for online apply application form . Follow the instructions given . Submit application form on or before closing date .